Are you ready? We are very excited to announce this Weekend Event, this time it is a bit special because of the first TwitchCon in Europe, Germany. You will receive 2 Broadcaster Skinboxes every hour while watching an Infestation: The New Z streamer. 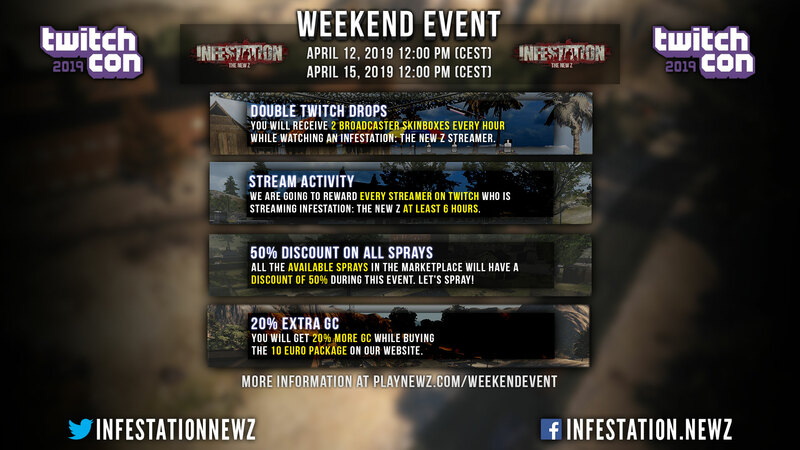 We are going to reward every Streamer on Twitch who is streaming Infestation: The New Z at least 6 hours during this event (it can be in different sessions). You have to enable the option to save your last broadcast (stream session). The reward is going to be 1000 GC and will be giving out after the event. 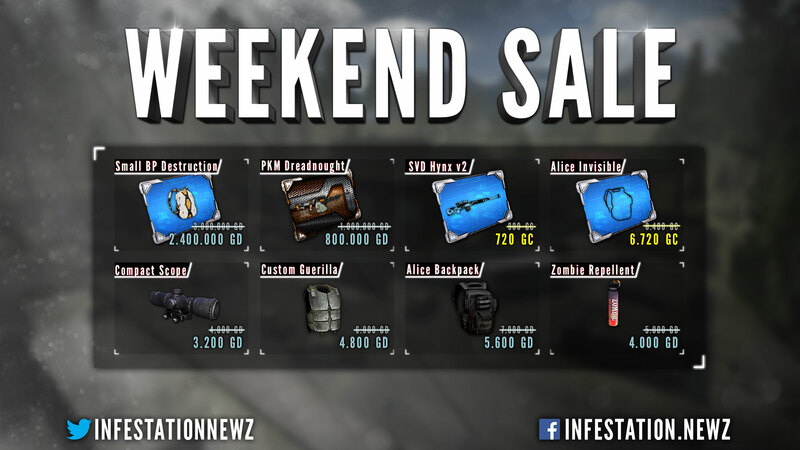 All the available sprays in the marketplace will have a discount of 50% during this event. Let's spray! You will get 20% more GC while buying the 10 Euro package on our website.